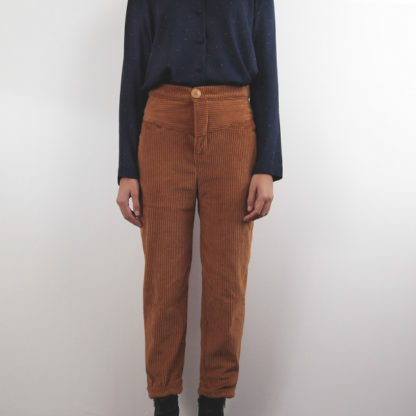 Material ideas: Velvet, gabardine, denim, lightweight wool etc. STOCK: This sewing pattern will be available in PAPER format from November, after it has been translated into English. 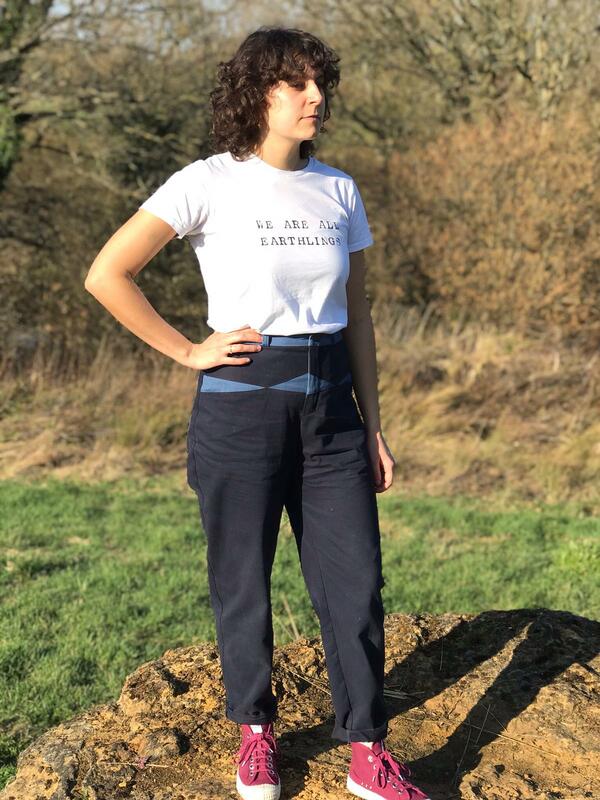 This week I tackled my first trouser upcycling project. I once again headed out to my local charity shops and scrapstore to find some unloved trousers that needed spicing up a bit. 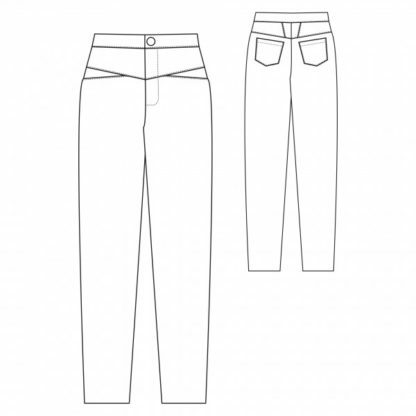 In the end I came away with four pairs of trousers; two pairs of blue chinos, one pair of black jeans that I may use to make the Megan Nielsen #mndawn jeans and some lovely Levi’s that I have no hope in hell of doing up…so many projects, so little time! I also bought 2 meters of bargain cotton for my toile and scraps of batik fabric for the linings and at £1.50… I mean come on, what a bargain. Indie all the way baby! 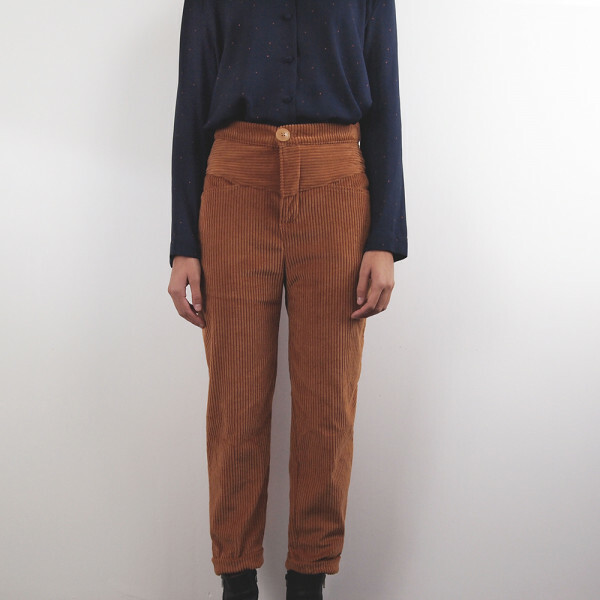 After a little research I decided to go with the Louis trousers from French indie pattern company, Republique du Chiffon. I ordered a paper pattern as there was no option for a PDF…boo! However when the pattern arrived I was very impressed with the packaging, a lovely brown envelope with string fastening and a nice handwritten note from the designer, although in French, so I have no clue what it said! Envelope appears to be made from Kraft card, which according to a little research, is unbleached, biodegradable and recyclable. However, as I understand it and I could be completely wrong, it’s not always made with recycled paper. I’m so sorry but I can’t remember what it was posted in! The pattern itself was still in French but the instruction booklet had a list of translations, as a result I just added the English translations on to the master pattern to make it a little easier when I traced of my pattern size. Although a little time consuming, I had a chance to learn a few French words…oh la la! 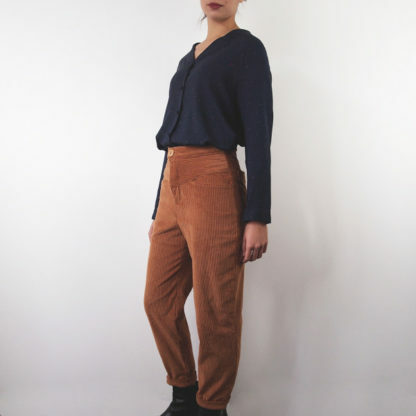 The pattern doesn’t include a seam allowance, however all but the trouser hems have the same seam allowance, so it was super simple to remember. Now you may find this annoying, as in my experience all of the patterns I’ve used so far have the seam allowance included – however I was taught not to include seam allowance on my self drafted patterns so they’d be easier to adapt, so it was no biggy for me :). A few of the terms in the booklet made me double take as instead of the usual overlock/serge seams it said finish, but I’m sure that was me being simple. 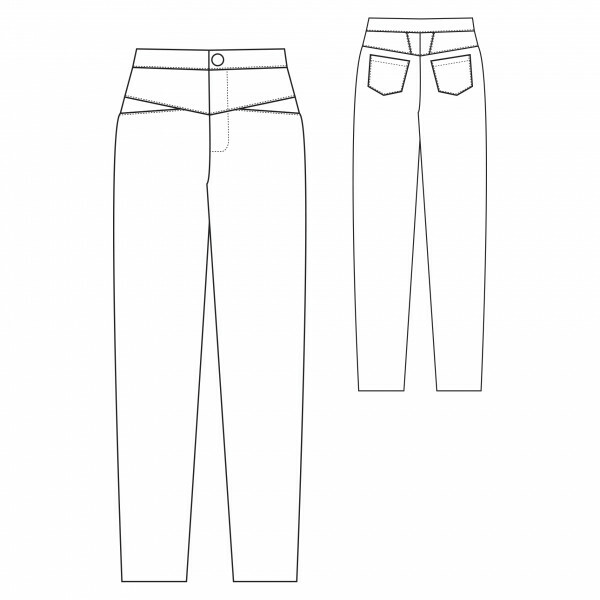 The instruction booklet was pretty clear up until the end, where if you’re a beginner sewer (this pattern is marketed at 4/4) it leaves you to decide buttonhole position and size, along with how to hem the trousers. WOULD I DO ANYTHING DIFFERENT? 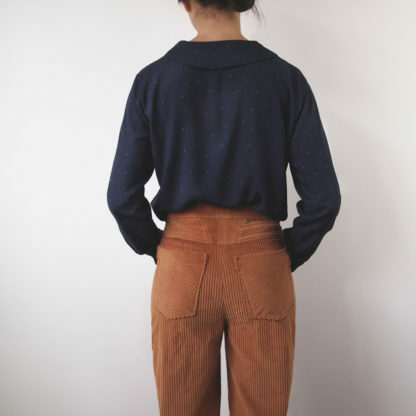 The only thing I’d do differently if I made these trousers again, would be to interface the pocket facing/lining, as it looks like it needs a little more stiffness behind it to complement the weight of the trouser better. 2x pairs of chinos from my local charity shop + fabric remnants from Wiltshire Scrapstore. WOULD I MAKE THESE AGAIN? Hells yes, really enjoyed this make and the yoke and pocket details are neat.